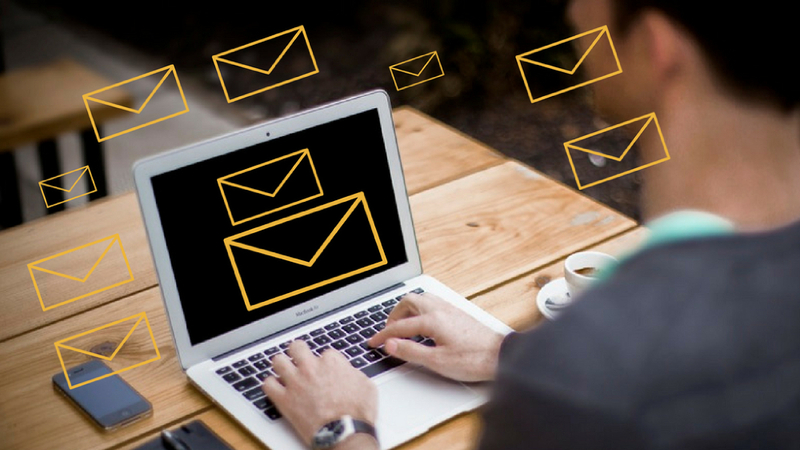 Since it’s inception in the early 70s, email has been the most reliable friend of working professionals. From work allocation to sharing client messages and status updates, emails are the most trusted tools for all this and more. Suppose you have to assign tasks to 5 of your team members who are working on different projects. Now think of the time you will have to spend while drafting emails for each of the team members. And, then if they don’t understand something in the allocation they will reply to you in the same mail. This starts a threaded conversation where everyone is just playing the email volleyball until they reach a conclusion. Don’t even get started on what happens when such a process is repeated for the task completion. Now think of the time it consumed in this. ProofHub comes as the perfect solution here. As a leader or a manager you can assign the tasks for each individual in a task list. You can create weekly task lists as well, and that can save you quite a lot of time. Tasks can be further divided into sub tasks for better illustration and understanding. There is the option to add comments just in case you want to elaborate better. And, when they are done with the task team members can simply mark it as complete using a single click. One of the most time-consuming, confusing and irritating thing that happens at offices the back and forth email volleyball while sharing files and getting feedback on them. If you have ever been involved in one such email volleyball, then you probably have had the taste of it. But, now comes ProofHub to solve this problem as well. You can store all your Files in ProofHub. In this way, ProofHub serves as the central hub where you can have all the important files and search them easily whenever needed. Another great thing about ProofHub files is that you can share it with anyone and everyone with just a single click. As a matter of fact, you can share the files to anyone who is not even part of ProofHub using the Copy link option. The biggest block in a team’s productivity is the time wasted in getting feedback from decision makers and clients. Most teams depend on the usual emails to get the work reviewed and proofed from the clients. It consumes a lot of time. Suppose you have to get feedback for a design file. You create the file, attach it in an email and send it to the client. Now, chances are that the client is not going to see it as soon as he or she receives. So, the first roadblock comes there. Until the client sees it you cannot expect a reply with the feedback. Now, suppose that the client sees it right when it reaches his or her inbox. And, replies with the feedback in the same email thread. You acknowledge it and begin working on the changes. The same process goes on until the client finally accepts the changes and the final version of the file is approved. But, isn’t it a bit too confusing by the time you reach end to this email sharing game? Even a small miss in the email thread could cost you a lot - not just time, but money as well. ProofHub has a simplified way for this as well. The Online proofing tool in ProofHub serves as the one place where you can get instant feedback and approvals without having to play that email volleyball with the clients, managers and stakeholders. All you have to do is just invite people to share their feedback on the file within ProofHub’s online proofing tool. They will receive instant notification, and can share their feedback directly on the file using markup tools and threaded comments. You can get real-time notifications for these comments and feedback and work on the changes. Once the changes are worked upon, you can upload the new version of the file right there and if all the changes are approved you don’t have to face the hassle of juggling through countless email threads. Even in case, the latest version is not approved and the client wants to have the previous design you can simply restore in with one-click. So, what are you waiting for? Sign up for our free trial!